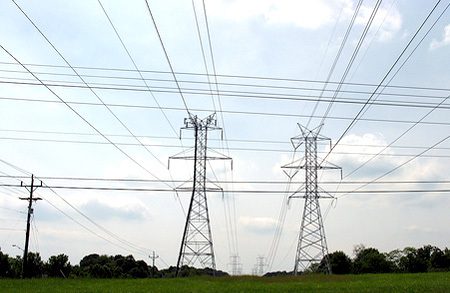 According to EIA (U.S. Energy Information administration) records, in 2010 Electricity Consumption in U.S. reached nearly 3,884 Billion Kilowatt-hours (kWh) which was more than 13 times greater than electricity use in 1950. Out of which 39% of the electricity was used in the Residential sector, 35% in commercial sector, 26% in industrial sector and just small percentage on transportation sector. As per EIA records, in 2010 total energy usage per person in the U.S. was 317 million Btu, which was about 2.9% more than the 308 million Btu per capita consumed in 2009, and 5.5% less than the 326 million Btu per capita consumption in 2008. In 2008, world total primary, marketed energy consumption was 493 Quadrillion Btu, while the United States primary energy consumption was about 101 Quadrillion Btu, which is about 20% of the world total. 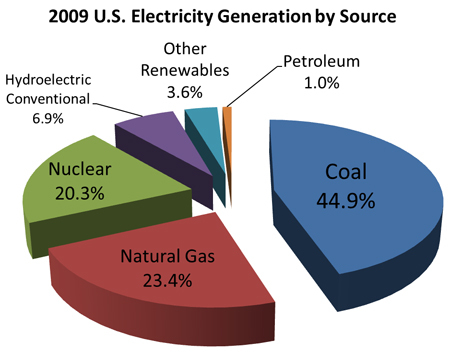 Coal is the most common fuel for generating electricity in the United States. According to EIA records, in 2010, 45% of the Country’s electricity used coal as its source of energy, 24% used natural gas and just over 1% of all electricity was generated from petroleum in the United States in 2010. After fossil fuels, nuclear power was used to generate about 20% of all the Country’s electricity and the rest was generated from Renewable Energy Sources (including hydropower, wood, biofuels, biomass waste, wind, geothermal, and solar).